We are pleased to inform you that North Area will be organising the North Area PLTC 2016 which will be held on 27 -30 May 2016. Please be informed that the mentioned Course is scheduled to be held as below. 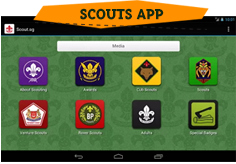 All registered Scout members (Secondary 2 and above) who, in the view of their Scout Leaders have the potential to assume leadership roles in their unit, are eligible to participate. The PLTC is organised annually. 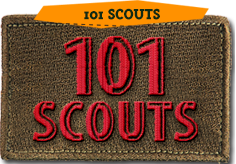 It is our intention that only Scouts who have successfully completed the course are allowed to hold appointment of Patrol Leaders and above in the units. The Course Fee is S$40.00 per participant, which includes all meals, T-Shirt, Course Badge and others. Groups are encouraged to subsidise the participants where possible. Ventures and above (Rovers and Leaders) are welcome to apply as camp staffs. They will be tasked to appropriate appointment. The Area will subsidize their course fee and the application form to serve as course staff is attached. A pre-course briefing will also be conducted on the Saturday, 7th May 2016, 1000 hrs at Singapore Scout Association for all participants and course staffs. Your keen support and co-operation will be very much appreciated. Please do not hesitate to write to teeksoon@live.com.sg should you require further clarification. We look forward to a fulfilling learning experience with your Patrol Leaders to be!